Astrology, finding your way through this maze we call life! 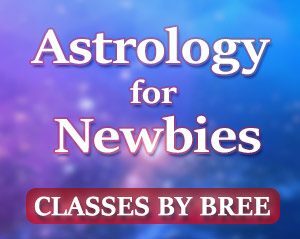 Discover Your "Destiny" Astrology has the answers you are looking for! Uranus Squares other Planets what’s it Mean? The planet Uranus requires around 84 years to make a full transit, so this means that it is one of the slower moving planets. It also means that the effects of each transit last a long time and they usually follow a pattern where they unfold and slowly reveal themselves. Uranus has a way of naturally adding fuel to our fire. It tends to make things happen, whether we are ready for them or not, and all the while this is ushering in changes to our lives. In a way, we can think of Uranus as a mischievous child, coming in and teasing us, pulling our hair and stealing our candy, if only to provoke a reaction. How we react is up to us, but usually the changes that happen when Uranus squares other planets will be welcome in the long term. When Uranus squares the Sun it can be a difficult time. We can tend to regress when this happens and we become the mischievous children who don’t want to sit still. We can rebel or push against things, often just for the sake of it under the influence of Uranus squaring the Sun, and this can cause us problems in the short term. Our ambitious side may take a backseat and we tend to lose focus. This means that projects or plans fall by the wayside as we get sidetracked, and if we have been working hard towards a goal, we can struggle to see the fruits of our labors. We also have the tendency to want to make changes around this time, but these can be short lived as we haven’t thought them through. The changes that happen can cause disarray in our lives and make us more confused than ever, so we need a steady hand. The key is to take things slowly and try not to make impulsive decisions. When Uranus squares the Moon we can have something of an identity crisis. We decide that we want to do things differently than we have before, but this can often lead us down a confusing path thanks to the hard square happening now. We can throw caution to the wind as we experiment with different versions of ourselves but to people around us we can often come across as indulging in bizarre behavior that is well out of character. We can be unfocused and impatient, bouncing around from one idea to the next, and we have the potential to alienate those around us. At this time, it pays to look at our profile and reputation and to make small and incremental changes to make sure that we like the overall effect. Uranus squaring Mercury is tough for all of us. We tend to be scattered and loose lipped at this time, and, as Mercury rules communication, there can be a lot of mixed messages. Communication can go haywire and we can find ourselves to be unfocused, meaning that we miss something significant in our lives, like paying and important bill, or forgetting an appointment that we needed to keep. We are also not very good at looking at things in detail, so anything like signing a contract is fraught with risk, as it can mean that we neglect to read the small print and end up agreeing to something that we will regret later. If we can’t avoid signing on the dotted line at this time, then we need to make sure we go over everything several times to make sure that we don’t make silly mistakes. When Uranus squares Venus it affects our relationships. We become difficult in the eyes of those around us as we value our independence and we tend be looking out for ourselves. We want to usher in change, but is can come at the expense of others, so we need to guard against this and make sure that we don’t start to alienate people in our inner circle. There is a tendency to feel as if others are cramping our style, and if they do we may push them away instead of confronting the issue. Our patience and tolerance for others is not at its strongest now but we need to look at our decisions and make sure that if we clean house, we do not push people away and then regret it later on. When Uranus squares Mars we need to stand well back. Things are going to get fiery, as you would imagine with these two planets in the mix. We may find that we feel uncontrollable anger at this time, as if this has been bubbling up within us for a long time. Emotions can get complicated and volatile, as we lose our tempers over the most trivial of things, and this can get explosive and messy with those around us. Everything can seem dramatic at this time and it is as if we are lurching from one hot headed situation to another. Mars is also strongly linked to desire, but when it squares with Uranus it can mean that our desires get the better of us and we are rash and impulsive, leading us to make bad decisions. The best thing to do at this time is to think things through, particularly before speaking or before we lose our temper. At the time when Uranus transits square Jupiter, we suddenly get the urge to merge. When Uranus was squaring Mars, we were temperamental and angry, but with Jupiter in the picture we are gregarious and we long to have fun and let our hair down. This can be a good thing but it can also come at the expense of obligations and responsibilities around us, and we need to be careful that we don’t take our hands off the wheel too much. We need to make sure that we are still focused on areas of our lives like our careers, as this is a time when we can unintentionally cause friction if we work in an office, as colleagues may feel we are not pulling our weight or pushing our workload onto them instead. When Uranus squares Saturn we can find that we become more stubborn. We want to resist change however it comes to us, even if it may be for the best. As such, this time sees us digging our heels in when really we should be exploring the options around us. 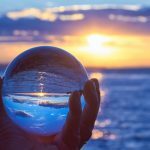 This can be a particularly difficult period for those of us who like things to be in order, as many plans or projects can suddenly seem to get derailed and this can cause us great stress. We need to remember to be flexible at this time and try to adapt to whatever happens around this time. Stress will naturally be high, so we need to find ways to balance this out, such as meditation. When Uranus squares Neptune we may find that we are more attuned to spiritual matters and this can manifest in a variety of ways. Dreams are often troubled and may be more vivid and worrying. Still, they can also bring us great wisdom, so we need not discount them immediately. We might uncover something at this time that has been buried or hidden from our view, but instead of bringing enlightenment, it may make us worry, and what we find out may not be welcome. Still, in the longer term, it will be better that we know this piece of information than not. When Uranus squares Uranus it often seems as if not much is happening in our world. Compared to some of the transits with other planets, this is one of the less obvious but this does not mean that it won’t be impactful. There are likely to be a number of bumps in the road as this cycle plays out, and we will get unexpected jolts as plans go awry and we are pushed out of our comfort zone time and time again. The best thing to do when Uranus squares Uranus is to keep an open mind and deal with each surprise as it comes. It is paving the way for something better. Uranus squaring Pluto can be intense. We are stronger and more assertive and we want to do things our way. This can lead us to push in several areas of our lives, and while this may lead to a breakthrough it can also lead us to push too hard in the wrong direction. We can be unnecessarily aggressive and waste a lot of our energy. Often, this is a time of great change, but the changes will not be ones that we have pushed for ourselves. Instead, they often come about as a result of what seems like a mishap, or an unwelcome obstacle. If you’d like your own Astrology/or, Tarot Card Reading, Two Question’s, VERY DETAILED-(30 min, audio sent to your email), Reading Astrology or Tarot $50.00 see Pay-Pal Button Below, (Your choice) of what is coming & what it means in your life, or to see what other services I offer, please see my services & rates tab at the of this post! Don’t forget to read my Testimonials! If you need an emergency Reading, please email me 1st to make sure I’m able to complete your request, cost for emergence Readings are $100.00. 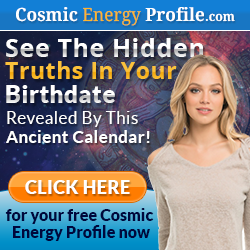 Astrology and Relationships, Finding your Mate! 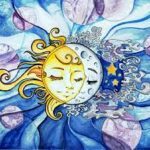 Solar Eclipse in Virgo September 1st 2016! Fear? Back to the Basics! Next story Pieces-Tarot Reading December 2016, You Have to Change it up Pieces! Previous story Tarot Card Secrets & How They Work! 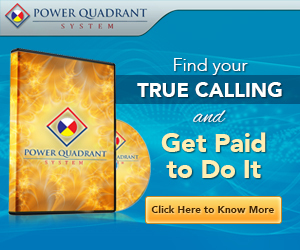 FREE~Valuable~Information! 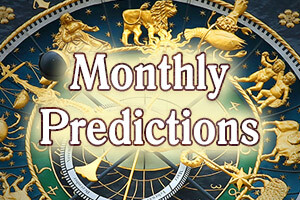 May 2019 Bree’s Horoscope Predictions! #What’s Hidden Beneath Will Come Forth! 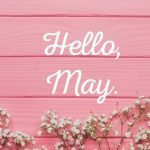 April 2019 Horoscope Predictions for the USA! Get ready for Saturn & Pluto conjunct in the USA 2nd house of financing! 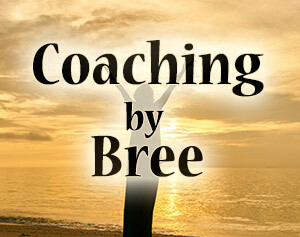 Bree on “Grand Trine” In Your Birth Chart, What’s it Mean? Rumfluff on “Grand Trine” In Your Birth Chart, What’s it Mean? 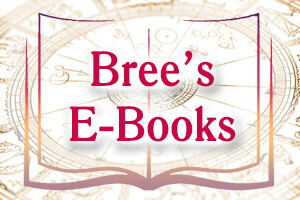 Bree on Astrology will Tell You When is The Best Time to have Surgery! Sun 03° Taurus 32' 27"
Moon 00° Capricorn 38' 34"
Mercury 09° Aries 00' 53"
Venus 04° Aries 01' 50"
Mars 15° Gemini 37' 10"
Saturn 20° Capricorn 29' 20"
Uranus 02° Taurus 35' 15"
Neptune 17° Pisces 49' 56"
Pluto 23° Capricorn 09' 06"
Chiron 03° Aries 41' 09"
© 2016 – 2018 Bree @ Spiritual Design Astrology. Copyright Notice: This content is protected by copyright and other intellectual property laws. You may not reproduce, republish, perform, sell, or otherwise use any content contained within this post without express written permission.